An elegant adjustable 9ct white gold curb chain that can be adapted to any look or outfit. 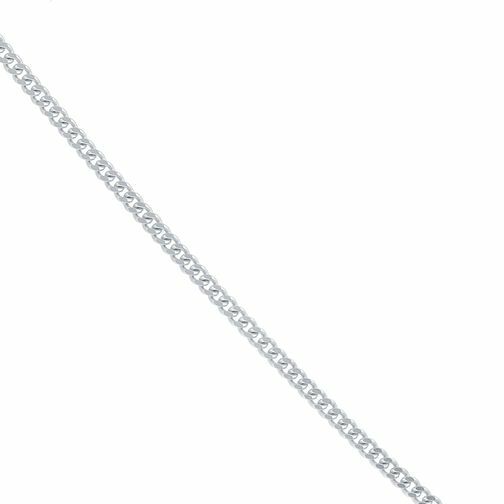 20"
9ct White Gold Adjustable 20" Curb Chain is rated 3.0 out of 5 by 2. Rated 5 out of 5 by Anonymous from Beautiful and Elegant A lovely fine yet strong chain - was needed to hold a ring during pregnancy and the adjustable sizing is perfect.